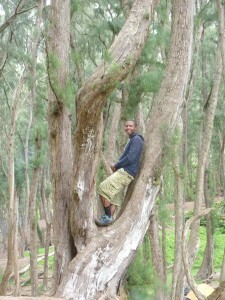 Hello, my name is Reese and this is my blog on the wiliwili tree and urban forestry. In this blog, I will talk about a species in Hawaii that’s threatened and what I’m going to do in my community, Los Angeles, California, to plant an urban forest. 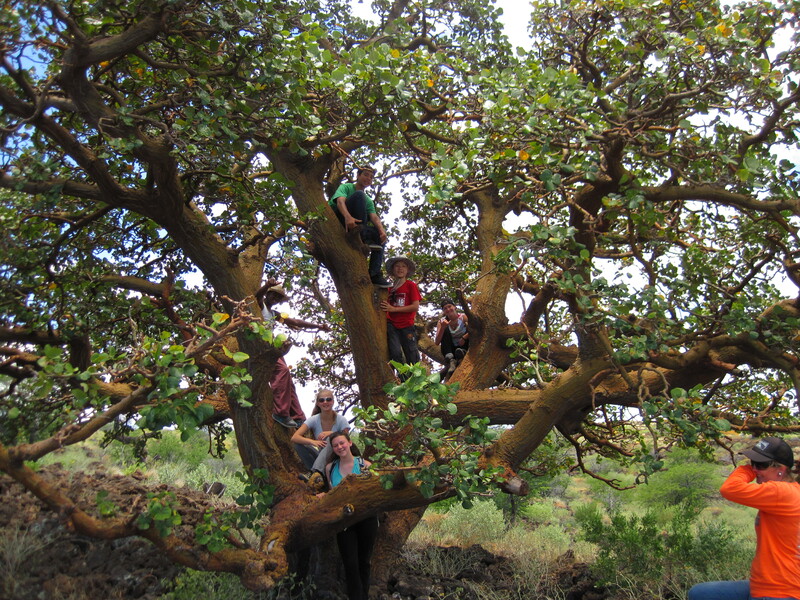 Being on this course has taught me many things, one part that really stuck with me was learning about the wiliwili tree on our trip to Waikoloa Dry Forest Initiative. The wiliwili tree carries much cultural significance and its population is threatened and has been since 2005 when an invasive wasp species appeared, Quadrastichus erythrinae, but we’ll get to that later. The native Hawaiians used the wiliwili tree for things like making leis, fish net floats (mouo), outrigger canoes (ama), and special surfboards for the ali’i. Going back to the invasive wasps, it’s not all bad news. In December 2008, a second wasp, Eurytoma erythrinae was released by the Hawaii Department of Agriculture as a biocontrol. Their job is to lay eggs in the galls created by the invasive wasps that hatch before the other larvae. Then, they eat the larvae from Quadrastichus erythrinae, eventually getting rid of them and saving the wiliwili. 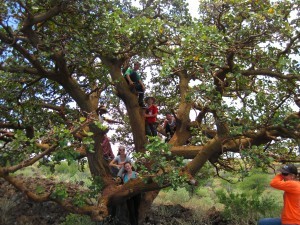 This tree is a wiliwili important part of Hawaii and without our efforts, a huge part of Hawaii’s history and the Waikoloa dry forest will be lost. 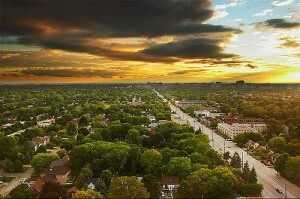 What an urban forest may look like. One of the challenges with this project, for me, was choosing an environmental topic to focus upon. The closest I can get was Restoring Damaged Ecosystems. 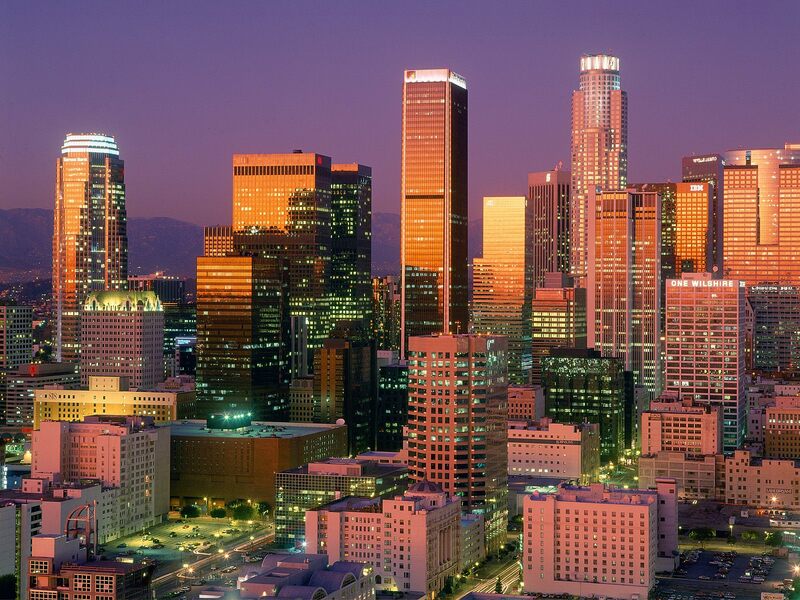 The only problem with that is nobody, including myself, knows what LA was before it became the mega-city it is today. With a little bit of research, I was able to find out that the answer, surprisingly, is a wetland. Sadly, however, we can’t restore that due to buildings and things like that, but what we can do is try our best to grow an urban forest for a greener, better LA. Having learned so much about the wiliwili tree and the efforts put forth by people like Jen Lawson of the Waikoloa Dry Forest Initiative, I was inspired to find out what’s going on with the trees, or lack thereof, in LA. So I looked online and found and found several organizations like City PLAnts or the LA Conservation Corps that I may be able to work with through the end of this year or maybe even 2015. I say that because right now it’s summer and so there aren’t really many tree planting events going on. However, when there are, I’ll be there. City PLAnts is an organization that plans to plant 1 million trees in LA over the next 10 years. Right now, we have 10 million, only 2 million of which are managed by the city. Also, we only have 21% canopy cover, which is below the US national average of 27%. By working with these organizations, I plan to create a more beautiful LA for further generations to enjoy. Hi Reese I really enjoyed your blog. 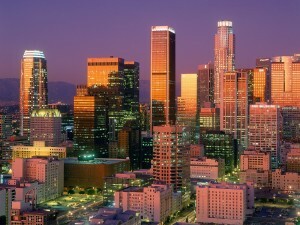 Please let me know what I can do to help you with your goal of a Greener LA.